Providing electrical safety testing and identifying unseen issues before they cause damage, Testel Test and Tag New South Wales’ technicians are available throughout the metro, regional and rural areas of NSW. From fixed electrical systems to portable appliances, record keeping to reports, Testel Test and Tag Sydney provides electrical safety testing to ensure your loved ones, staff and assets are kept safe and free from harm. An electrical safety test, also referred to as a test and tag, test tagging, lead testing, portable appliance testing and appliance testing, conducts a comprehensive inspection of all types of electrical items, systems, appliances and devices in order to identify issues and potential problems. A process that can save lives and prevent damage to buildings and equipment, Testel Test and Tag New South Wales’ technicians are highly trained. In fact, all our technicians are licensed electricians. Whether you require a Testel Test and Tag Sydney branch tech. or one of our remote and rural services, the process is the same. We carry out a comprehensive inspection of the workplace, home or appliance and then tag the item. This includes recording the type of test that was conducted and the results of the test. For example, a record of a test might include the asset number; the test conducted; where the test was undertaken; a description of the item; date of testing and next test; test results; and, any repairs that were made. Following the tagging process, our Test and Tag New SouthWales’ technicians input this information into our database. 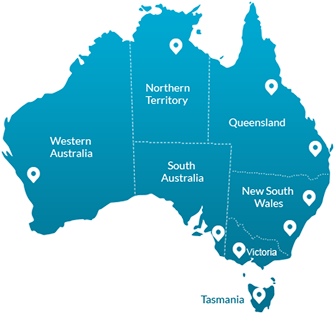 We currently have over 3,000,000 test records right across Australia in a proprietary database we call TES. Our trained licenced electrician techs are available to help with your electrical safety testing at our Testel Test and Tag Sydney branch or in the regional and rural parts of NSW. Whether you are a landlord, homeowner, renter, employer or staff member, we can ensure all your electrical systems are tested thoroughly to deliver maximum safety and OHS compliance. Contact us today on 1300 881 116 or email us to find out more about Testel’s test and tag services or to make a booking.